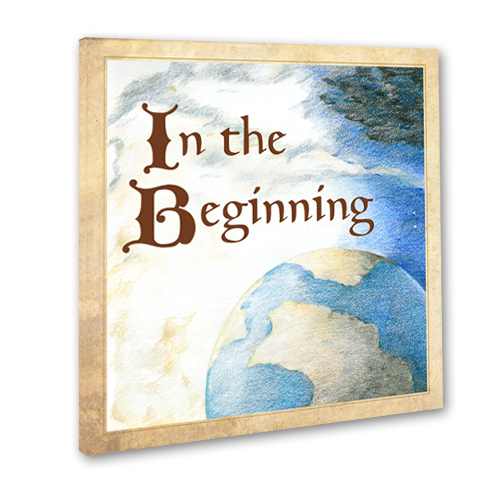 In the Beginning is an Inspirational Children’s Book depicting Genesis Chapter One, the creation of the world. This book is for all ages and will point the whole family up to God as you enjoy reading together. Inspire and teach your children with the Creation Story as you guide them in a relationship with God. The lessons and beautifully hand-drawn pictures will create lots of fun conversations which will bring you and your children closer together. In the Beginning was developed by Gwen Shamblin, founder of Weigh Down Ministries and best-selling author of The Weigh Down Diet. A mother of two grown children and grandmother to five beautiful girls, Gwen saw a need in the current children’s library for lessons that combined fundamental educational principles with precious instruction about God and His Word. She has been teaching adults and children how to find God for over 25 years! The illustrations in this book were beautifully drawn by artist Erin Shamblin, who has dedicated her gifts to this ministry and to God so that others will find Him. Erin is happily married to Gwen’s son, Michael Shamblin, and is honored to have been part of this project. This is a stunning book depicting the creation story! The pictures add to the meaning of the words, giving children, and adults, a better understanding of what creating the world was like, and what a blessing it is for us today. This will be in my children's library and will be a treasured book through the years! from Kansas Beautifully written and illustrated!